Address: 157 Hillsborough Old Rd, Lisburn, BT27 5QE. Ed and Mel are two photographers based in the Lisburn area who have worked together for over 20 years providing professional photographic services covering any occasion. We have extensive experience in all types of photography but specialise in weddings, portraiture and events. Our aim is to provide you with a mixture of traditional, informal, relaxed and natural photographs which truly reflect the spirit of the day and present them in a variety of top quality traditional and storybook type albums. We specialise in capturing the candid and spontaneous moments which truly reflect the personalities of those involved and believe in a friendly, relaxed and unobtrusive approach to photography which makes it fun for all. Ireland's Finest Photography Studio We at Captured Images are based in Lisburn, and have been involved in portrait photography for over 30 years. During this time we have been official photographer for a local baby competition, and have completed portrait photography for many customers. Our main photographer and our owner, John Megarry, is at the core of the business. He has taken photographs for many local businesses and organisations, as well as for private customers. We complete portrait photography under the following categories: •Children & Baby Portraiture •Family Portraiture •Engagement Portraiture •Pet Portraiture •Commercial Portraiture •Model Portfolios Our aim is to take professional photographs to fit in with your requirements, whether this be photographs with a modern twist, or more traditional, formal photography- the choice is yours! Work with our professional staff to get professional photographs in a style to suit you, so that you are satisfied with the final product. Choosing someone to capture your special images from a crowded market of photographers is no simple matter. What makes David Lester stand out from the crowd is his deep-seated passion for his art, exquisite images in the finest displays, and friendly customer service. David is an exciting, award-winning talent specialising in contemporary wedding and portrait photography. Having previously worked extensively across the south of England, he has re-located to the north of Ireland for 2010. Based in Lisburn, Co. Antrim, David is available to cover weddings throughout the whole of the north of Ireland. His wedding photographs tell the story of your magical day, allowing you to re-live those special moments over and over again. And his portraits are alive with personality, capturing forever the very essence of his subjects. Thank you for visiting David's website. We trust that you will enjoy browsing through the gallery and would love to hear from you soon. Specialising in Social, Commercial and Event Photography, With over twenty years experience, Don now uses Digital Image Capture. Capable of producing high resolution digital images suited to the needs of commercial clients. Don also works with various non profit organisations and this features in his Personal work. This Website is in continual development. Please be patient, not all links are functioning. Web Link: Frank Higginson L.B.P.P.A. I am a qualified professional photographer specialising in wedding photography and portraiture and a leader in the field of creative wedding photography. Photographs can be in colour, black & white, sepia tone, montages, colour and B&W in the same photograph, story page and overlaid photographs. Weddings are unique and individual occasions and demand to be photographed as such. Frazer's aim is to provide you with beautiful. timeless wedding photography that will last you a lifetime. His unique and relaxed style involves taking natural, informal photographs combined with a small selection of more traditional group and family shots allowing you and your guests time to enjoy more of your day. The presentation of his work is paramount Ho only uses the very best in contemporary albums and printed books giving you a truly sophisticated I individual finished product Frazer is a qualified member of the British Institute of Professional Photography (LBIPP) and is available for wedding photography throughout Ireland. 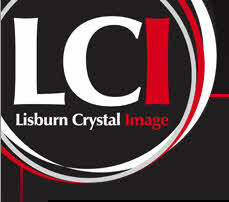 At LCI we specialise in putting your images in crystal. We use state-of-the-art laser technology to engrave your images. They make a memorable gift or keepsake for any occasion. Obtaining one of these dazzling creations couldn’t be easier, simply choose from our range of crystal sizes, upload your photograph and your crystal will be dispatched within 7 working days. We are able to join different parts of two or more photographs in the same crystal and repair minor imperfections such as creases or scratches prior to engraving at no extra cost. We can engrave any image you provide: people, animals, buildings, logos, etc. If you can take a photograph of it, we can etch it in crystal. Ideal for: Weddings, Anniversaries, Births, Graduations, Birthdays, Engagements, Christmas, Mother’s Day, Father’s Day, Remembrance, Pets and many more! Each crystal comes in its own special presentation box. Click on PRODUCTS to order your crystal today! Family Photographer in Lisburn, County Antrim, NI *** Precious – Photos by Helen is a modern and relaxed family portrait studio in Lisburn, Co. Antrim, Northern Ireland. *** Specialising in the photography of all things family – engagement, bump, newborn, baby, toddler, graduation, I would be delighted to be chosen as the photographer to record the moments that matter to your family. *** My Lisburn studio has easy access and ample convenient parking, Contact Me today for booking information and photographer availability!